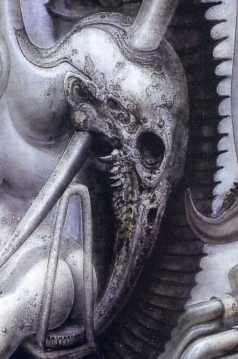 On 17th April 2015 I noticed that below the arm holding the rounded American football shape is another strange skull, it looks like an bird skull of some sort with teeth, but the eye socket reveals itself also to be the mouth of a distorted face whose presence is given away by the ear shape, and the remains of the nostrils and an eye can still be seen, and out of this attempt at a face, the bird like skull grows. 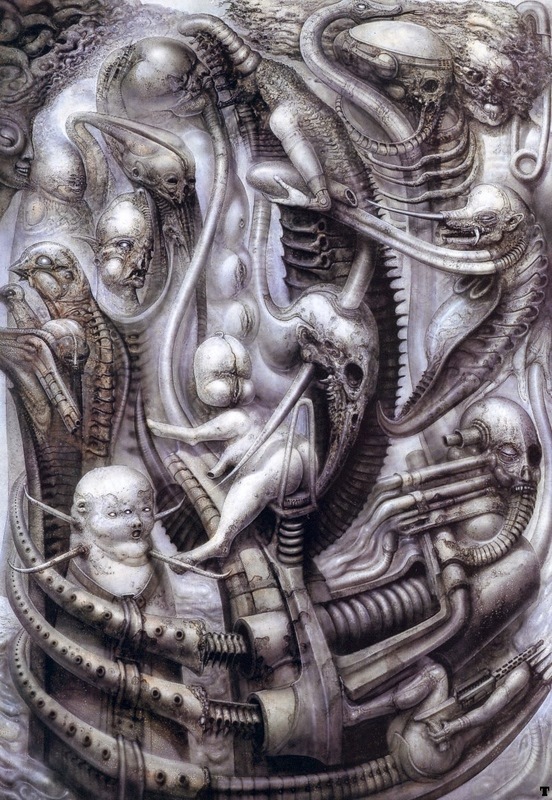 It appears to be a common trait of Giger's to have something that looks like a failed attempt at one face growing into another and perhaps one can see impressions of these sorts of traces of faces left behind in most of his paintings at the life form in his painting continue to evolve. 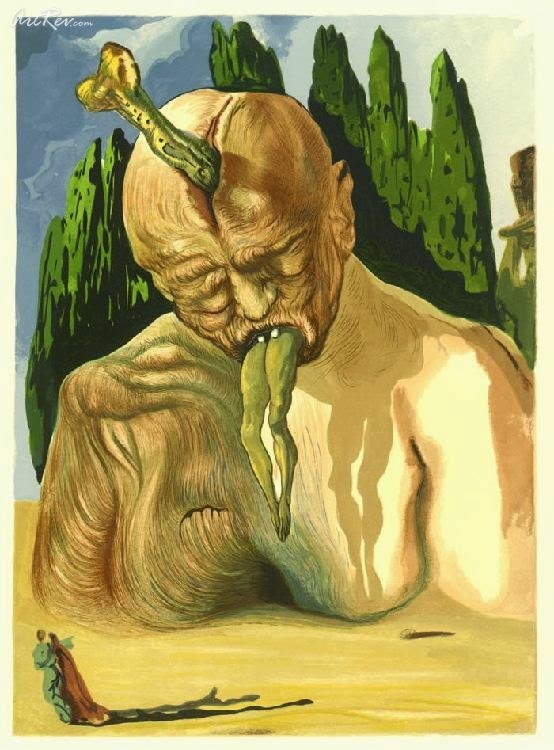 Through his head a tusk penetrates through a vaginal opening.